Telephone communication is the primary type of communication in today’s society. There’s an estimated 1.263 billion landlines and 4.77 billion mobile users. It’s absolutely incredible how connected we are as a global society. However, hearing on the telephone can be a challenge for many people, even if you only have a mild hearing loss. When listening on the telephone you don’t get the benefit of body language, lipreading, or facial expressions to help fill in the gaps in the spoken conversation. It’s also much more difficult to process sound through one ear versus both ears simultaneously, which is what happens when you hold the phone up to your one ear. 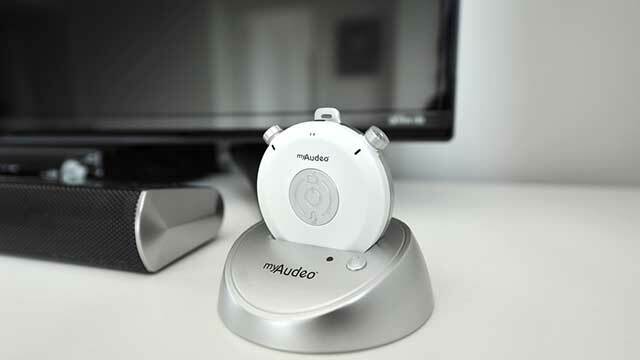 Add in any interfering background noise and the telephone conversation can become nearly impossible. Fortunately, technology has come a long way to provide some solutions. The Americans with Disabilities Act (ADA) requires that each state offers a telephone relay service (TRS) to those with hearing loss. Eligibility will be determined based on medical and financial status. The TRS service allows those with hearing loss to place and receive phone calls. There are a few different forms of TRS available to those with hearing loss. Below we’re going to discuss the 5 major solutions for people without hearing aids, and then several solutions for people currently with hearing aids. If you’d rather skip that and just browse all the options, simply look at the phones for hearing impaired. Otherwise you’ll find a table of contents below to help you read and browse at your leisure. 1. You are only using one ear to hear. Only using one ear to hear can make your ability to understand speech more difficult. Our brain is designed to access the signal coming into both ears. When we take away one of those signals, the brain has more difficulty interpreting speech. 2. You lose visual information. Even people with normal hearing sometimes use visual cues (i.e. lipreading, facial expressions, or hand gestures) to fill in the missing pieces of what they may not have heard verbally in a conversation. 3. All phone signals are different. Unfortunately, all phones are not created equally. The compatibility of a phone with hearing aids will vary from phone to phone. That is why you may experience difficulty with some phones and not others. Cell phones also work differently with hearing aids depending on their hearing aid compatibility rating. The Federal Communications Commission (FCC) has created standards for cell phone devices, which states that cell phone providers must offer at least two models that meet the Hearing Aid Compatibility (HAC) standards. What Are The Hearing Aid Compatibility (HAC) Standards for Phones? Each wireless phone is given an HAC rating, based on two parameters: The M rating and the T rating. The M rating, or microphone rating, refers to the ability of the phone to function with the hearing aid with limited microhone interference. The T rating, or telecoil rating, refers to the ability of the phone to function with the telecoil feature of the hearing aid. Each phone is given an M and T rating from M1 to M4 and T1 to T4. M4/T4 is the highest rating, indicating the least amount of electromagnetic interference to the microphone and the best telecoil compatibility. The good news is, there are several solutions that can improve your hearing on the telephone, with or without hearing aids. 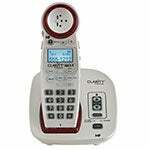 The simplest solution for helping you to hear better on the phone is to get an amplified telephone. If you have any degree of hearing loss, even a very mild one, an amplified phone can help to improve your telephone conversations. Amplified telephones can be purchased from most electronic stores or may even be provided to you for free through the State. 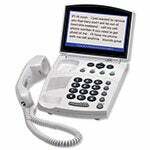 Some state programs provide amplified telephones for anyone who has a hearing impairment free of charge. Check with your hearing healthcare professional to see if you qualify, or check this list of services by state from the Hearing Loss Association of America. What is an amplified phone? In addition, some of the phones also have functions that allow for “tone equalization,” which is a fancy way of saying they can help you hear those pesky high pitched sounds that are so difficult to make out. Often times amplified phones will also have the ability to increase ringer levels, so that you can still hear the phone ring even if you’re in the other room. They are best for individuals with mild, moderate, or severe hearing loss, with the ability to communicate verbally. Can an amplified phone make my hearing loss worse? OSHA recommends not exceeding an 8-hour time-weighted average of 85 decibels. Amplified phones typically increase sounds by 15 dB to 25 dB and increase ringers by 50 dB to 75 dB, and are designed for a person with hearing loss in mind. So, we do not believe you’ll experience any increased hearing loss. Note: If you’re unsure which phone to choose, even after reading our list, we recommend sticking with a Clarity amplified phone, as they are the big player in this market and have a very reputable brand. 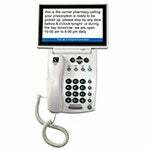 If you are familiar with closed captioning for television or movies then you already have a good understanding of what a captioning phone is. What is a captioned phone? A captioning telephone works in similar fashion to a conventional phone, with one major difference: it provides real-time word-for-word captions. 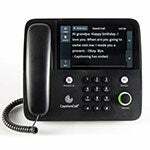 There is typically a screen attached or built-in to the phone that displays the live conversation in written text. A captioned telephone service uses a special telephone with a screen to display captions of what the called party is saying. 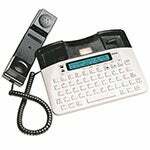 Instead of the operator typing out what is said (as with TTY), the operator will repeat what the called party says then speech-recognition technology will transcribe the operator’s voice into text for the user to see on the captioned telephone display. The two main players in this field are Sprint CapTel and CaptionCall, so below we’ve included videos that describe how each product works, though they are virtually the same. 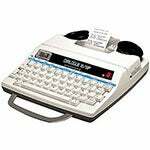 In addition, captioned telephones are not available in every state, or may have limited availability because the cost for for calls is often paid for out of a state fund. To find out details about the state you live in click here. Can I use caption technology on my smart phone or computer? Yes. Hamilton CapTel provides more information on that here. 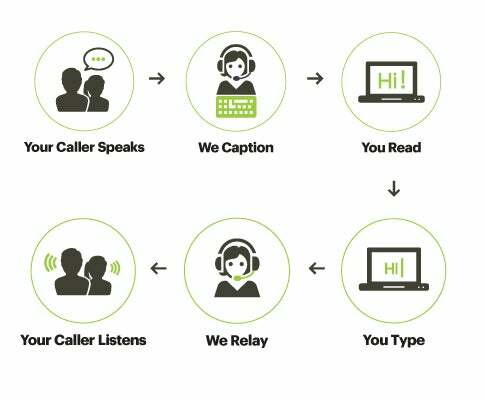 Phonak has a new captioning app available for smartphones called myCall-to-Text. It allows you to read in real-time on your phone, what the other person on the phone is saying. You don’t have to have Phonak hearing aids, or any hearing aids at all for it to work, and it is available for both iPhone and Android phones. 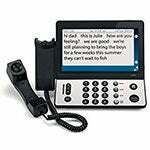 Will my state or local deaf service center provide a captioned phone for free? Possibly. It’s definitely worth looking at which states provide captioned phones for those with hearing loss. Note: While we have provided multiple options in the table below, it should be noted that most states utilize the Sprint CapTel as the primary captioning service. You can read more about it here. 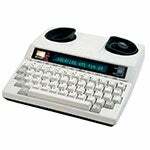 Text-to-Voice TTY allows the person using a TTY or device to communicate with non-TTY users. 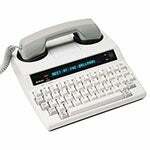 TTY stands for text telephone. It allows those with hearing loss to communicate with family members, business contacts, and friends using a text method, in which the TRS operator types whatever is said so that the person with hearing loss can read the words on his or her TTY device. The typed response is then read aloud by the operator for the listener to hear over the phone. 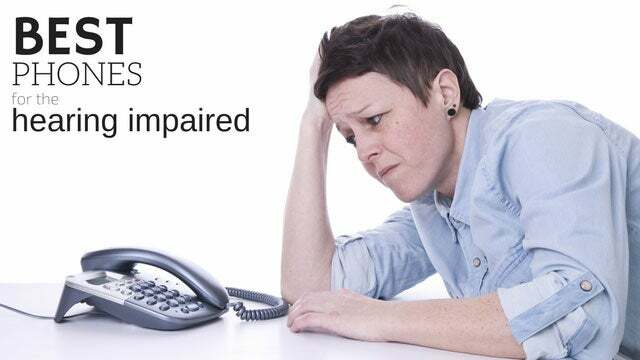 A form of TTY is voice carry-over (VCO), which allows the individual with hearing loss to use their own voice when responding to the conversation and receives text messages via the operator when the called party speaks. This may sound very similar to captioning phones, except current VCO technology allows only voice or text on the line at one time and does not allow the VCO user to hear the voice of the other party. TTY and VCO calls were some of the first telecommunication relay services (TRS) #Captioned_telephone for hard of hearing individuals. 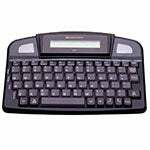 It involved the use of a third party operator who would physically type out voice to text and vice versa. While these services still exist, the captioning technology today is far superior. VRS is an internet-based service which allows users who primarily communicate with American Sign Language to communicate with the operator using video conferencing equipment. The operator then speaks to the called party and translates their response back into American Sign Language for the user. They allow you to not only listen to the conversation, but to see the face of the called party as well. This can be very helpful by providing more visual information to make the conversation easier to understand. Check out our list of some of the best video calling services. What are some of the best VRS online services or applications? See the Federal Communications Commission for more information about VRS. Our fifth and final solution is video calling. 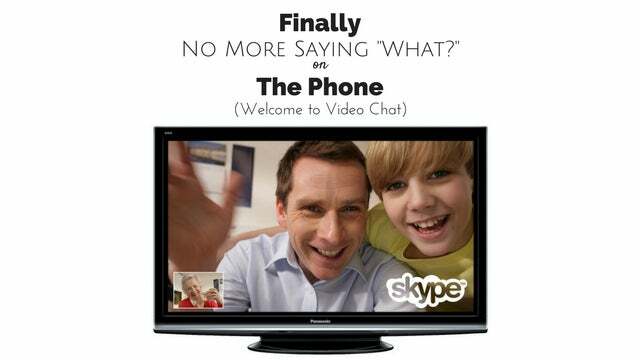 Video calling is similar to VRS, but does not involve the use of a third party translator. Instead it uses applications like Face Time or Skype to communicate with others directly. We’ve written a complete guide for video calling here. Most digital hearing aids now have a specific program for use with the telephone. In this program, the hearing aid settings are optimized to improve understanding on the phone. Some of these programs require compatible telephones. The benefit of having a specific phone or telecoil program set up into the hearing aid is that it can help to eliminate interference between the phone and hearing aid microphone, and it can help to reduce background noise while listening to a phone conversation. Some of the newer models of hearing aids have an advanced telephone program. When holding the phone to the hearing aid, the phone signal is picked up by one hearing aid (via the microphone or telecoil) and is streamed using wireless technology to the hearing aid on the other ear. While streaming, the background noise is reduced. These advanced phone programs been shown to improve speech intelligibility on the phone. 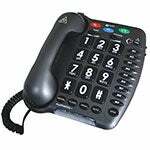 It can be used with any phone, both mobile and landline, as long as the feature is available in the hearing aids. 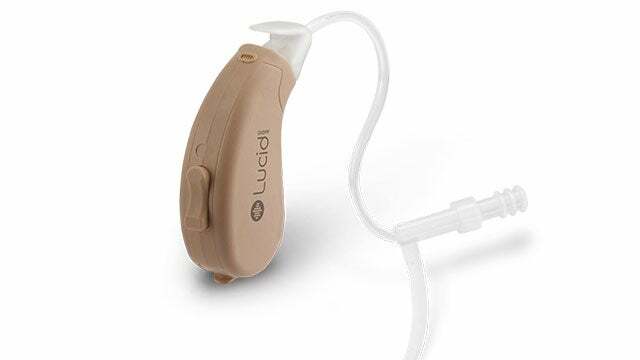 Most of the major hearing aid manufacturers have hearing aids with these advanced phone programs, however it is often available only in their premium or advanced technology levels of hearing aids. With the use of a Bluetooth streaming phone accessory, the phone conversation is delivered from a connected Bluetooth-enabled phone to both hearing aids simultaneously. Speech intelligibility can be significantly improved when hearing on the telephone via wireless streaming to both hearing aids by use of a remote interface device, in comparison to hearing the phone signal in only one ear. This type of device also allows for hands-free phone operation. 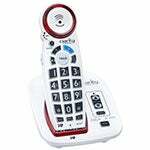 Hearing aid specific landline cordless phone. 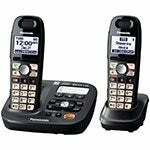 Some hearing aid manufacturers have introduced their own specific cordless landline phone that works with their hearing aids. 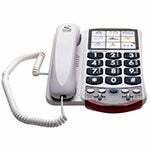 This state-of-the-art cordless telephone streams the phone signal to both hearing aids when held to the ear. It does not require Bluetooth or any additional streaming devices and is fully automatic (i.e., it does not require the user to change hearing aid programs). The background noise in the room is reduced and the volume of the phone signal can be increased if needed. With the development of the Made for iPhone hearing aids (which are now also available for some Android phones), the need for an intermediary device between the hearing aids and the cell phone is no longer necessary. The cell phone can be directly synced with the hearing aids, to allow phone conversations (and other audio media) to be streamed directly to both hearing aids, hands free. Many of the big 6 hearing aid manufacturers have hearing aid lines that are compatible. 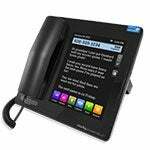 All of these telephone options help to overcome the difficulty you may have with hearing on the phone. Each of the above five options are designed for specific situations, which are different for every person with hearing loss. If you have any questions about which type of phone or service is best for you, feel free to leave a comment below and we’ll give you our thoughts. I work for a company that uses an Avaya 9630 phone. I used to be able to hear and understand people on the phone before the company switched to a system called Northstar which is a voice over internet system where the calls come through the computer. I got new hearing aids because of not being able to understand the callers after the company got that system. The hearing aids are Phonak top of the line model 6400.00 I was hoping to be able to use MDA200 Bluetooth streaming. I still cannot understand the people when they are calling in. Any thoughts? My father is 92 and extremely hard of hearing. He does not have internet service and he wears hearing aids. What is a good solution and what is the cost. It sounds like he could really benefit from a captioned telephone but you would need to get internet service. Most state programs will supply the phone at no charge. See the state list above for information on your state program.